As February rolled into March, the weather continued to confuse. 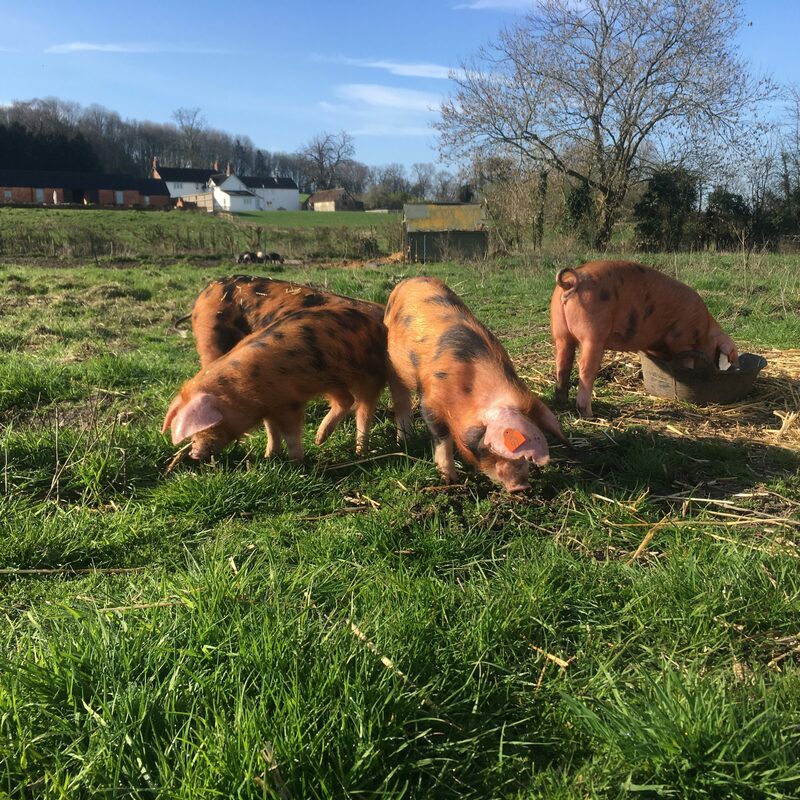 There were warm sunny days where the pigs were turning over their water troughs to make wallows, frosty mornings with ice to break, sunny, showery days and full-on rain with strong winds – good old British weather – giving us plenty to talk about. But nothing as extreme as the Beast from the East which blasted through in March last year, only to be followed by a heatwave summer. I for one have been wishing for a year of ‘moderation’ in our weather in 2019. The extremes are interesting to look back on but definitely not fun at the time! The guinea fowl are distinctly confused. We found our first egg at the end of February, then no more for a couple of weeks. They are laying again now but being extremely fickle. Those of you who have read this blog for a while will know, Guineas lay their eggs wherever they fancy – they don’t build a nest as such, just pick a spot and go for it. And whimsically, move from place to place from time to time, sometimes every day. Makes egg collection a nightmare for us …. but perhaps that’s the plan! But it is wonderful to have fresh eggs again – once they hit their stride, we will incubate some and sell them to others for hatching, but the first ones are for the pot!! We’ve some lively little weaners entertaining us and visitors at the moment. Six British Saddlebacks and four Oxford Sandy & Blacks are running riot (sometimes, literally) in the maternity paddock. That paddock is where they learn about electric fencing – fortunately, they are good students – it doesn’t take long but the field is completely stock fenced so even if they hop the wrong way through the fence, they don’t get far and can be returned to their rightful home. It’s interesting to see the difference in the breeds – the two groups are very close in age but whilst the Saddlebacks clearly have agreed on a mission to turn their section into a mudbath, the OSBs are more interested in grazing and sleeping than digging! We’ve boys and girls in both groups so they’ll all be moving onto new/separate paddocks soon. But Spring is definitely bursting out – the grass is growing, the stinging nettles too. Trees and shrubs in the woodland are covered in buds and starting to show green. 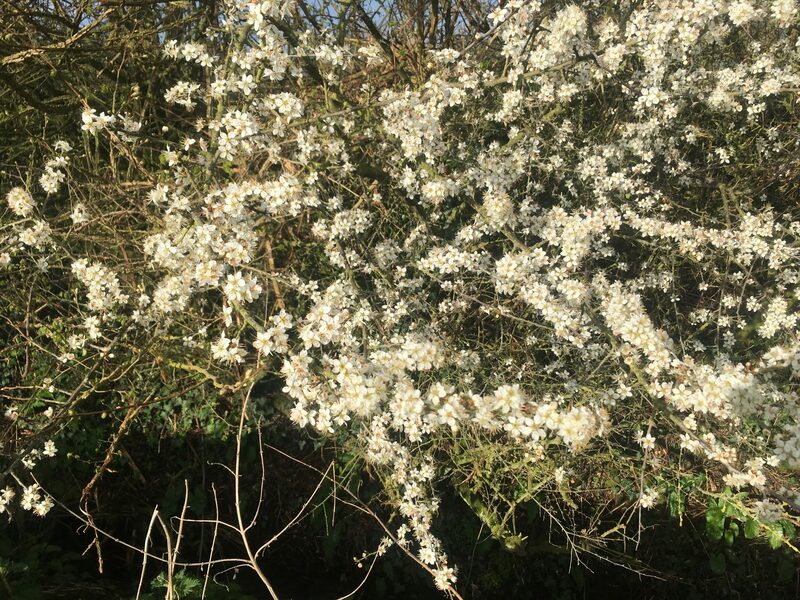 Many of the trees are now busting out of their protective sleeves – fortunately, the sleeves are all perforated down the side so that when they are ready, they ‘self-peel’ – the farmer doesn’t need to unwrap them all! It must be 6 or 7 years since the trees went in – some of them have shot away – perhaps 30ft tall now, whereas others, including the oaks, are clearly much slower growers. Can’t wait for them all to be in full leaf – walking through the woodland in the summer is a very relaxing pastime. We’ve got a few Spring weekends still available in the converted barns on the farm – self-catering in complete luxury – if you want to come and check out all the wonderful things to do in Wiltshire, check out this link …. a blog on our local area and then see pictures and look up availability HERE.